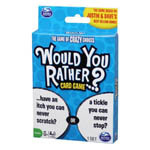 Get all the fun of Would You Rather in a card version! 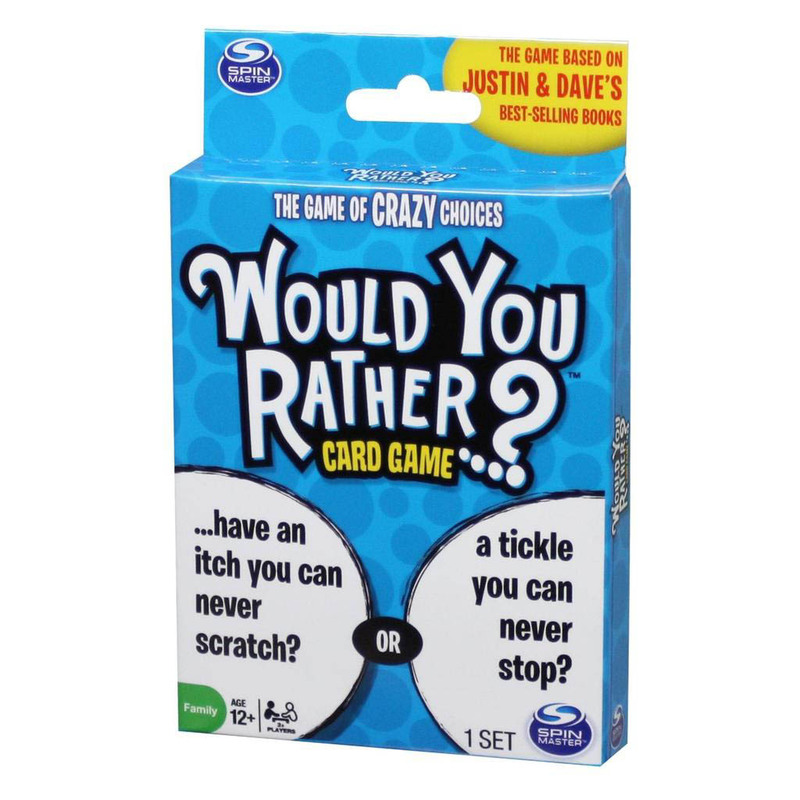 Would you Rather is the ultimate ice-breaking party game full of zany dilemmas and difficult choices! Get all the fun of Would You Rather? in a card version! Would You Rather? is the zany game of deranged dilemmas and difficult choices. Discuss, debate and laugh your way to the finish in the ultimate ice-breaking party game as you ask: Would You Rather have to wear a tuxedo made of taxidermied squirrels or a swimsuit made of live starfish?